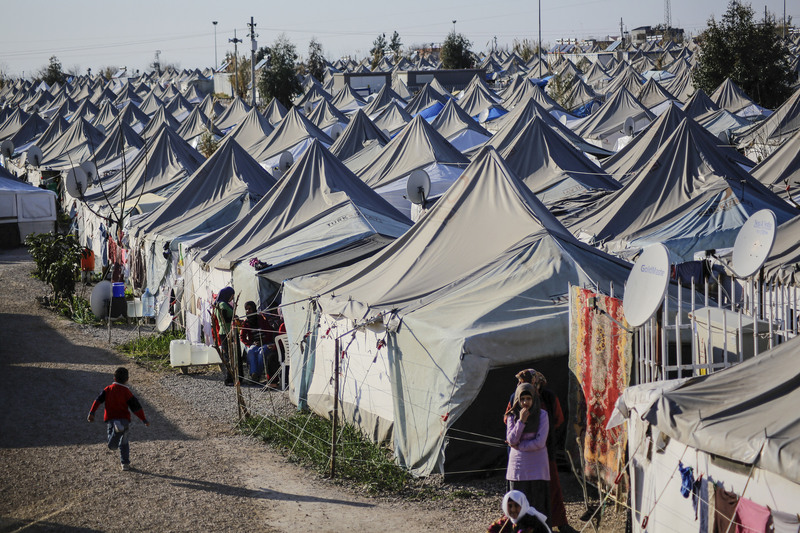 The Arc of Protection identifies major shifts in the international refugee regime, diagnoses current problems, and proposes principles to undergird reforms. The book seeks to renegotiate the existing “grand bargain” between the global South and the global North, in which the global South keeps most refugees bottled up in return for funding from the global North, on terms that are more favorable to refugees. This elegantly written text should be read widely by the policy and academic communities concerned with international responses to refugees and other forced migrants. An analysis of the international refugee regime from the twenties to the present sketches the changing contours of the policy forest. This approach will be most useful to readers who are already familiar with some of the details about the trees. It will appeal to “lumpers” rather than “splitters.” Given the large body of literature on particular refugee contexts, where nuances and exceptions can be amply explored, the analysis of a dozen or so major shifts is a welcome intervention. The major axes of difference are time and place — changes over the first century of an international refugee regime and differences between the regime in the global North and global South. In a few places in the text, differences over time and differences by place become conflated. A four-fold treatment that systematically assesses changes along these two axes would add further clarity. The book shows the many ways that the refugee regime has changed. For example, in its earliest logic, refugee protection was triggered when states of origin failed to protect their citizens vis-à-vis other states. The contemporary view is that international protection is triggered by states of origin failing to provide protection to citizens within their own boundaries. The older version is more deeply rooted in a Westphalian logic based on protecting state sovereignty than the current iteration, which challenges sovereignty further through the concept of an international responsibility to protect people facing state-sponsored violence even within the boundaries of their home country. In other shifts, there has been a movement from group level refugee designation toward individual status determination in the global North, even as countries in the global South continue to make group level designations. The grounds for refugee status determination have expanded in practice, especially in the area of membership in a social group. Formal rights of refugees have expanded, as they have for all people on the planet, through the wide adoption of human rights treaties. The UNHCR has taken on many duties beyond what the founders of the refugee regime foresaw. The authors are appropriately skeptical about other observers’ assertions of major shifts, such as the idea that when the Refugee Convention was negotiated, European displacement tended to be caused by persecution, whereas subsequent displacements in the developing world have tended to be caused by armed conflict. Both targeted persecution and widespread armed conflict characterize both periods. To my knowledge, no one has ever produced evidence that the global balance between the two drivers, which are often interrelated in practice, has changed since World War Two. I suggest a few friendly amendments to some of the book’s other claims about major shifts. One of its arguments is that there has been a shift from a policy focusing on resettlement abroad for European refugees to an effort to contain refugees from the global South. Yet here, the difference may not be so much Europeans versus non-Europeans, as a difference between the first decade after World War Two and the later period. For example, when large numbers of Europeans were displaced during the wars in the former Yugoslavia in the nineties, UNHCR operations in Bosnia functioned to contain displaced people rather than resettle them abroad. Neither has the UNHCR pursued resettlement abroad for the 1.5 million Ukrainians displaced by the conflict since 2014 in Crimea and the Eastern Ukraine. The authors show that two refugee regimes have developed. One regime is based more on rights for a few asylees and resettled refugees in the West, and the other is based on discretionary humanitarian assistance for the many in the global South. The earlier system was based on eventual integration into national welfare systems where access to benefits was guaranteed as a right, while the more recent version is based on an increasingly neoliberal model in which the risks to refugees’ livelihoods are passed on to them rather than collectively pooled. One major exception to the earlier pattern of moving refugees to states where they enjoyed national welfare rights was the work of UNRWA, which in 1949 was given the mandate to provide for the care and maintenance of Palestine refugees. This was the first instance of the international community creating a mandate to care for non-European refugees. Because Palestine refugees are not within the UNHCR mandate, they fall out of the account in this book. Bringing them back in is important to illustrate just how old the roots are of what Michael Kagan has called a “surrogate state,” in which the international community funds the care and maintenance of refugees who are generally excluded from national welfare and citizenship. Similarly, Palestinians should figure prominently in the discussion of protracted refugee situations, given that there are three generations and five million Palestine refugees currently eligible for UNRWA services. The authors argue that the category of responders to displacement has grown to include new implementing partners and development agencies, including many in the private sector. Extending the scope of analysis temporally and geographically is a reminder that private humanitarian agencies have long played critical roles in many contexts, including post-World War One relief in Europe and in Hong Kong during the fifties. What is new is that there is now a set of private humanitarian and development agencies with the capacity to parachute into new situations around the world. The creation of this universally deployable apparatus parallels the universalization of the refugee definition away from the ad hoc group designations of the interwar period and the geographic and temporal limitations of the 1951 Convention. It is worth exploring how the availability of this humanitarian capacity affects policies. Humanitarian agencies can offer temporary emergency care following off-the-shelf models anywhere in the world where they are able to gain access. It is far more difficult, and requires a far greater deal of local knowledge, to promote long-term economic development. Indeed, there is a raging debate in economics about whether external development assistance promotes growth at all, and if it does, under what conditions that aid is effective over different time scales and in different domains. Programmatic foci are not necessarily the result of a coherent strategy, but rather the path-dependent perpetuation of what has been done elsewhere. Finally, the book identifies a major shift as the adoption of non-entrée policies aimed at keeping asylum seekers from reaching territories in rich countries where they can ask for asylum. However, these policies are as old as the international refugee regime itself. Techniques of remote control predated their adoption in the rest of Europe, North America, and Australia, often by half a century. To keep Jews fleeing Europe from reaching Palestine in the late thirties and forties, including during World War Two, the British government deployed naval interceptions, visa restrictions, diplomatic pressure on buffer countries, stationing immigration liaison officers abroad, carrier sanctions, publicity campaigns, sabotaging vessels in countries of transit, crackdowns on people smugglers, and offshore island detention centers. Britain was not alone in exercising remote control. The United States and Cuba also used their maritime forces to keep refugees from landing on their shores. Many countries throughout the Americas openly or secretly used their visa policies to keep out Jewish refugees. What has changed in the intervening decades is that policies of non-entrée have become a global system. An integrated architecture of repulsion has been built across the planet to keep asylum seekers at arm’s length. The functions of these structures are linked to each other. Knowledge about how to deploy remote controls and the funding for building up the coercive capacity of buffer states circulates around the globe. 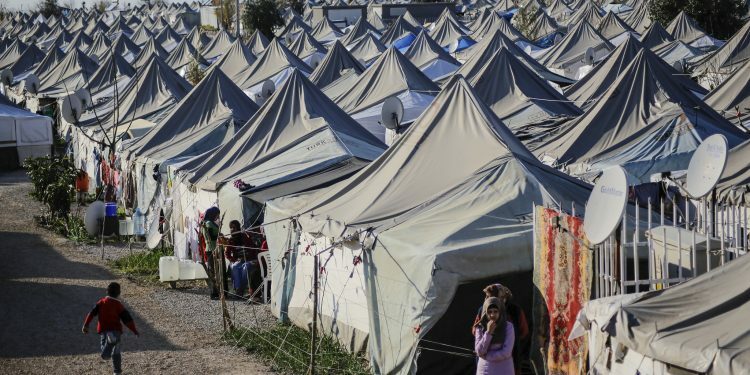 The second section of the book outlines a series of proposals about how to improve the lot of refugees and other people who flee out of necessity. The proposals include a mixture of principle and pragmatism. They are not based on impossible utopias, but neither are they all immediately feasible. What might social science contribute to elaborating proposals that are likely to succeed? The first issue is what economist Martin Ruhs has summarized as rights versus numbers. There are several places in The Arc of Protection that at least implicitly acknowledge that refugee regimes that accept many people offer fewer rights than regimes that are open to only a few. States may only keep their borders open to refugees as long as the states are confident that they will not be forced to provide refugees with significant rights. If this is the empirical tendency, then elaborating an ever-expanding list of human rights that tries to take politics out of policy may not only be ineffective; such a strategy may backfire and put more refugees’ lives at risk by eliminating paths to safety. A pragmatic accommodation would be to focus on compliance with a core group of human rights. One of the book’s most controversial calls is for the international community to provide protection to those for whom movement was a reasonable response to “threats to their physical safety, the loss of shelter and livelihood, [and] their ability to care for themselves and their families” (Chapter 2, p. 14). The authors point out that “the idea of necessary flight recognizes that many factors typically contribute to a decision to flee,” and that refugee law tends to “sweep under the rug” the sociological reality of the many factors that impel movement as families and individuals attempt to manage risks to their safety, well-being, and dignity. Yet in a world of restrictive mobility policies, there is no guidance in the text on where to draw the boundary of what constitutes a reasonable decision to move as a result of a lost livelihood. Under what conditions do states have an obligation to open the gates? One goal of the book is to establish the principle that protection is due in such situations, but the difficult operationalization has been kicked down the road. The book posits that there is a New Liberal Consensus “among states, the EU, multinational organizations, policy advocates, and academics” (p. 91) that includes the ideas that refugees are best assisted in their regions of origin, refugees can be a benefit to hosting states if allowed to work, resettlement programs should be expanded, and xenophobia and non-entrée policies should be condemned. While there is a group of people who agree to that consensus, such as likely readers of this volume, there is no such consensus even among states that are commonly considered liberal. All of the states in the global North are engaged in systematic policies of non-entrée, and most resettlement programs are symbolic gestures. Scholars of international migration have argued since the nineties that states accept more immigrants than most of their constituents want because rights-based liberalism constrains the majoritarian will of a democracy. The courts in particular act to expand admissions and protect foreigners’ rights further than most of the public wants. The key characteristic that unites courts, experts, and the supranational agencies of the EU is a significant degree of autonomy from public demands. This is also true of mid-level bureaucrats in the refugee regime, whom the book suggests could “quietly” help achieve the proposed reforms. Liberalism and democracy promote different policy choices around international migration. As a practical matter, undemocratic liberalism may be better for refugees than democratic illiberalism. What are the incentives for states to accept more rights-bearing forced migrants than their publics want? The typical reasons for states to accept refugees include linkages to other foreign policy interests, international branding as a humanitarian country, and appealing to domestic constituencies mobilized around ideological concerns. Some of these incentives suggest places for policy intervention, such as an international commission that would name and shame governments that violate their protection obligations. Some governments are more vulnerable to this pressure than others. Unfortunately, the governments that are most vulnerable to such criticism are probably the same governments that are already closer to the New Liberal Consensus and its proposed extension. The book ends with a call to action for “a larger transnational movement for refugee rights.” One key driver of the existing movement is humanitarianism. The book rightly points out the many problems with humanitarianism, as compared to a rights-based approach, yet these approaches are not always at loggerheads. Outside the bubble of the liberal consensus, rights claims lose much of their effectiveness. Appeals to protecting people across social and geographic boundaries, the essence of humanitarianism, is another tool that has demonstrated its efficacy time and again. For example, experimental survey research in the United States leading up to the 2016 election found that encouraging empathy by inviting respondents to imagine themselves in a refugee’s shoes prompted respondents to be more likely to take action in support of refugees. Humanitarianism as a standard for judging policy has the great virtue of being easily apprehensible outside an expert community. Principles based on human rights and humanitarianism, as well as empirical analysis and political action, will all be needed to achieve the book’s ambitious moral vision for a new international refugee regime. David Scott FitzGerald is Theodore E. Gildred Chair in U.S.-Mexican Relations, Professor of Sociology, and Co-Director of the Center for Comparative Immigration Studies at the University of California, San Diego. His current book project is tentatively titled Refugee Beyond Reach: How Rich Democracies Repel Asylum Seekers. Gatrell, Peter. 2008. “Refugees and Forced Migrants During the First World War,” Immigrants & Minorities 26, no. 1-2: 82-110; Madokoro, Laura. 2016. Elusive Refuge: Chinese Migrants in the Cold War. Harvard University Press. FitzGerald, David. 2018. Refuge Beyond Reach: How Rich Democracies Repel Asylum Seekers . Unpublished manuscript, University of California, San Diego. Ruhs, Martin. 2013. The Price of Rights: Regulating International Labor Migration. Princeton University Press. See FitzGerald, David Scott, and Rawan Arar. 2018. “The Sociology of Refugee Migration,” Annual Review of Sociology 44. Mudde, Cas, and Cristóbal Rovira Kaltwasser. 2017. Populism: A Very Short Introduction. Oxford University Press.